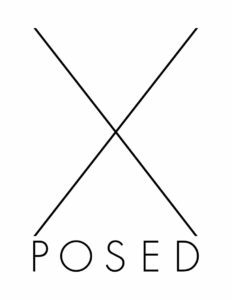 To commemorate the 5th Anniversary of The Canadian Arts & Fashion Awards (CAFA), XPOSED will produce a one-of-a-kind collaborative fashion photography exhibition that captures and interprets contemporary Canadian culture evoking a sense of disruption that dominates our era. Under the fashion direction of George Antonopoulos and chaired by global fashion icon Ladyfag, the inaugural photography exhibit The Disruptors Series, will feature subject matters who are innovating culture through distinct creativity and inspiring global style. The Series will be comprised of 10 iconic images featuring distinct Canadian influencers who personify disruption and innovation in the context of fashion. Unique to its kind, the Series will uniquely position art, becoming art. With images shot by some of Canada’s and the world’s most acclaimed photographers, each piece of artwork will be curated across various digital and physical platforms, and unveiled at the Canadian Arts & Fashion Awards Gala on April 20th 2018, at the Fairmont Royal York Hotel. Proceeds generated from the sale of artwork will support The 519 in honour of the late Will Munro. Epitomizing artistic disruption with global fashion influence, Toronto-born Ladyfag will serve as the Honorary Chair of XPOSED’s inaugural exhibition. Descried as the “reigning queen of nightlife” by Vogue, New York City-based writer, performer, nightlife personality and renown events producer, Ladyfag has taken centre stage as a global style muse. Known for championing a variety of causes from HIV to emerging designers; hosting parties in the underground and international fashion scenes; Ladyfag’s boundry-breaking style and legacy-leaving achievements is the inspiration behind XPOSED’s inaugural exhibition and be one of the ten featured subject matters. Dedicated to fashion, a career in the industry was a natural choice for George. With an extremely diverse and varied clientele,George is constantly in demand for his forward thinking and inspired point of view. George parlayed his aptitude and vision for editorial work into his current post as Contributing Fashion Editor at Fashion Magazine, where his unique esthetic translates beautifully into stunning and award winning fashion editorials. George’s creative vision has also graced the fashion pages of prestigious magazines such as Elle Canada, Flare, Glow, EnRoute and the Holt Renfrew book. Various fashion lines and retailers such as Pink Tartan, Hudson’s Bay, Lord & Taylor, Holt Renfrew, Maison Simons, Arthur Mendonca and Rudsak have sought out George’s distinct creative vision for their special collaboration projects. Based on his innate sense of market trends, popular Canadian retailer Danier Leather selected George to be the creative force & vision behind the capsule collection “Object” whose success made news in all the major Canadian fashion publications and has received industry praise. George has been fortunate to work with notable industry celebrities such as Lana Del Rey, Emily Blunt, Iman, Olivia Wilde, Elisha Cuthbert, Shalom Harlow, Milla Jovovich, Jessica Stam, Kirsten Owen, Helena Christensen, Andrej Pejic, Jourdan Dunn and Yasmin Warsame. George’s accomplishments and contributions were highlighted by winning the P&G beauty awards for Fashion Editor of the year for 2012 + 2013 and currently nominated for the third time. He also won Stylist of the year for 2013 at the Canadian Arts & Fashion Council (CAFA) awards as well as The Post City “Jeanne Beker” award for Popular Personal Stylist for 2013.